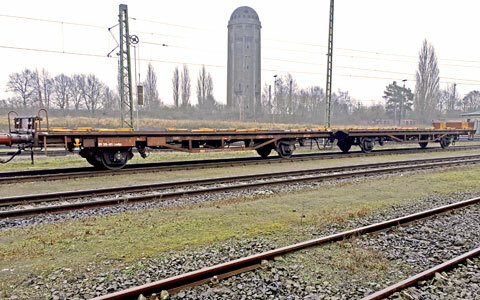 Rail transport is becoming increasingly important as a result of liberalisation in Europe. We recognized this development and the associated possibilities at an early stage and have been successfully relying on our number 1 means of transport for more than 20 years! 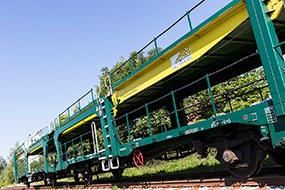 We currently have more than 1,100 closed double-deck wagons, 1,750 open double-deck wagons and 150 open flat wagons, which we operate at the highest technical standard with optimum capacity utilisation and minimum failure rate due to mobile maintenance. The Hccrrs is not an ordinary, purely functional wagon. 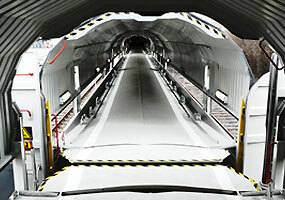 It includes philosophy and pioneering spirit of ARS Altmann AG.